The Education Department and DOJ withdrew Obama administration guidance. Obama-era guidance intended to boost college admissions diversity will now be dialed back under the Trump administration, the Education Department and Justice Department confirmed in a statement Tuesday afternoon. The move withdraws guidance issued by the Obama administration that encouraged universities to consider race when evaluating applications, arguing that a "race-neutral" process could disadvantage potential students from minority groups. Communication to colleges and universities published between 2011 and 2016 cite previous Supreme Court cases to provide a legal basis for voluntary affirmative action programs. 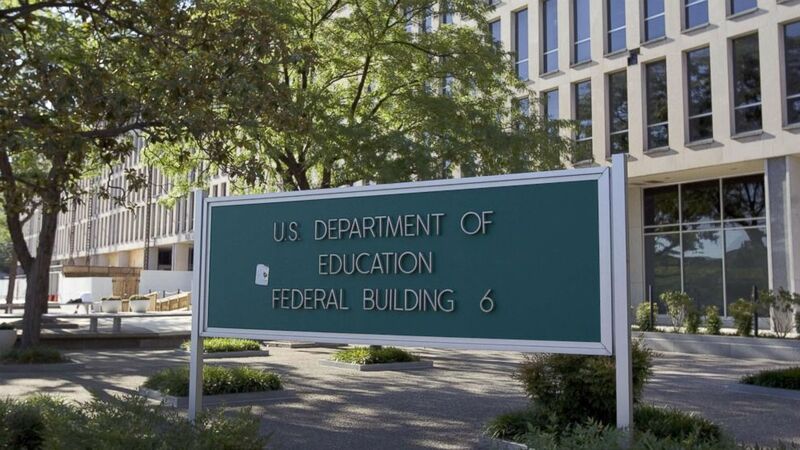 (Saul Loeb/AFP/Getty Images) The Department of Education building is shown in Washington, DC, July 21, 2007. On Tuesday, the Trump administration said that the Obama administration's advocacy for a particular policy position was "inconsistent" with the principles for agency guidance. The Department of Education and Justice Department also said the previous administration's guidance went beyond the requirements of the Constitution to "prematurely decide, or appear to decide, whether particular actions violate the Constitution or federal law." "The documents advocate specific policies and procedure for educational institutions to adopt, analyze a number of hypotheticals, and draw conclusions about whether the actions in those hypotheticals would violate the Equal Protection Clause of the Fourteenth Amendment to the Constitution or Title IV or Title VI of the Civil Rights Act of 1964," Kenneth Marcus, assistant secretary for civil rights at the Education Department, and John Gore, acting assistant attorney general, wrote in the letter. Education Secretary Betsy DeVos said in a statement that the Supreme Court's written decisions are a better source of information for navigating questions about affirmative action policies. "The Supreme Court has determined what affirmative action policies are Constitutional, and the Court’s written decisions are the best guide for navigating this complex issue. Schools should continue to offer equal opportunities for all students while abiding by the law," Education Secretary Betsy DeVos said in a statement. The policy shift comes as the country awaits Trump’s nomination to fill Justice Anthony Kennedy's seat on the Supreme Court. Kennedy, who announced his retirement last week, has long been a swing vote on affirmative action decisions, joining the court’s liberal justices on the issue. Affirmative action is likely to come before the Supreme Court again in the next few years. A lawsuit filed by Students for Fair Admissions, whose President, Edward Blum, was the ligitant behind Fisher v University of Texas, alleges that Harvard University’s affirmative action policy discriminates against Asian students. In court documents filed in mid-June, the lawsuit claims that Harvard ranks Asian students lower on “personality” and “likability” than it ranks other racial groups. A trial is scheduled for October. Last year, Harvard admitted one of its most diverse classes with Asian students making up 22.2 percent of admitted students, African American students making up 14.6 percent, and Latino students making up 11.6 percent. “Our schools are more diverse than ever, yet the Department of Education, time and again, has turned its back on our most vulnerable and at-risk students” the statement reads. In a statement, the former head of the Department of Justice Civil Rights Division Vanita Gupta said that because of the policy shift "the Trump administration is once again failing in its responsibility for the well-being of all students by tossing aside diversity and inclusion--core American values."